The VHS VCR has been with us since the mid-1970's, but, in 2016, after a 41-year run, manufacturing of new units ceased. Since the introduction of other devices and formats, such as DVRs, DVD, Blu-ray Disc, and even more recently, internet streaming, the VCR as the mainstay of home entertainment is no longer practical. Although there are many VHS VCRs still in use, finding replacements is increasingly difficult as the remaining stock disappears. As result, many consumers are preserving their VHS tape content on DVD. If you haven't so yet — time is running out. Here are your options. To copy VHS tape content to DVD using a DVD recorder, connect the composite (yellow) video output, and the RCA analog stereo (red/white) outputs of your VCR to the corresponding inputs on a DVD recorder. You may find that a specific DVD recorder may have one or more of these inputs, which may be labeled in a variety of ways, most commonly AV-In 1, AV-In 2, or Video 1 In, or Video 2 In. Just choose one of the sets and you are set to go. To transfer or make your copy from VHS to DVD, use the DVD recorders input selection option to choose the right input. Next, place the tape you want to copy into your VCR and place a recordable DVD into your DVD recorder. Start the DVD recording first, then press play on your VHS VCR to start the tape playback. The reason you want to start the DVD recorder first is to make sure you don't miss the first few seconds of the video that is being played back on your VCR. For more details on DVD recorders and DVD recording, refer to our complete DVD Recorder FAQs and our current suggestions for DVD recorders. You can copy your VHS to DVD using a DVD recorder/VHS VCR combination. This method does the same thing as option 1, but in this case, it is a lot easier as both the VCR and DVD recorder are in a single unit. This means that no extra connection cables are required. Also, another way that using a DVD recorder/VHS VCR combo unit may be easier is that most of these units have a cross-dubbing function, which means after you insert your playback tape and recordable DVD, you just select which way you want to dub (VHS to DVD or DVD to VHS) and press the designated Dub button. However, even if your DVD recorder/VHS VCR combo unit doesn't have a one-step cross-dubbing function, all you have to do is press Record on the DVD side and play on the VCR side to get things going. Here are some suggestions for DVD recorder/VCR combinations. Here is a solution that is becoming more popular, and is very practical (with some caveats). This third way of transferring your VHS tapes to DVD involves connecting your VCR to a PC via an analog-to-digital video capture device, recording your VHS video to the PC's hard drive, and then writing the recorded video to DVD using the PC's DVD writer. Such devices come with a box that has the required analog video/audio inputs for you to connect your VCR and a USB output for connection to your PC. In addition to the transfer of your VHS tape video to your PC's hard drive, some of these devices also come with software that assists in making the video transfer a from your VCR to your PC more flexibility as the provided software programs usually provide varying degrees of video editing features that allow you do enhance your video with titles, chapters, etc. However, there are some pitfalls using the VCR-to-PC method. The main things to take into consideration is how much RAM you have on your PC and the speed of both your processor and your hard drive. The reason these factors are important is that when converting analog video to digital video, the file sizes are large, which not only takes up a lot of hard drive space, but if your PC isn't fast enough, your transfer might stall, or you might find that you have randomly lost some video frames during the transfer process, resulting in skips when played back from the hard drive or from the DVD that the hard drive transfers the video too. For MAC users, one option available is the Roxio Easy VHS to DVD for Mac. Although using a DVD recorder, DVD recorder/VHS VCR combo, or PC DVD writer are all practical ways to transfer your VHS Tapes to DVD, in addition to the discontinuation of VCRs, DVD recorders and DVD recorder/VHS VCR combos are also becoming very rare and fewer PCs and Laptops are providing built-in DVD writers. However, although DVD recording options are decreasing, DVD playback devices are not going away anytime soon. 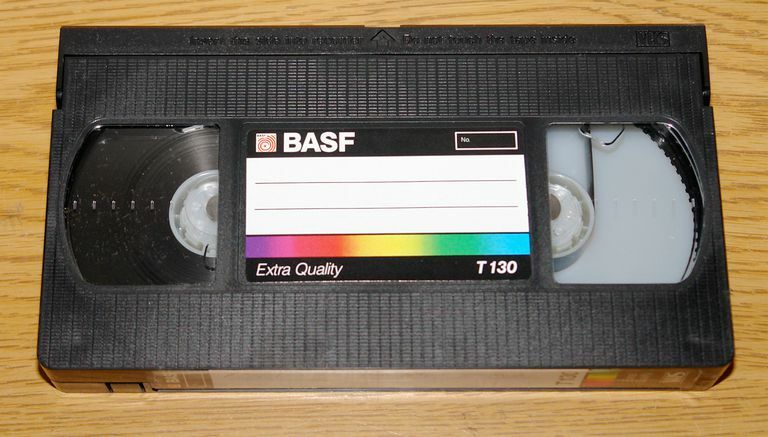 In addition to the three do-it-yourself options discussed above for copying your VHS tapes to DVD, there is another method to consider that is widely available, especially for important videos, such wedding or other tapes of family historical importance — have it done professionally. You can contact a video duplicator in your area (can be found online or in the phone book) and have them transferred to DVD professionally (can be expensive - depending on how many tapes are involved). The best way to approach this is to have the service make a DVD copy of one or two of your tapes, if the DVD is playable on your DVD or Blu-ray Disc player (you might try it on several to make sure), then it might worth to have the service make copies of all the tapes you wish to preserve. In addition to getting your VHS tapes copied to DVD, if you have the budget, the duplicator can make adjustments that may improve inconsistent color, brightness, contrast, and audio levels, as well as add additional features, such as titles, table of contents, chapter headings, and more. You can only copy non-commercial VHS tapes that you have recorded yourself to DVD. You can't make copies of most commercially made VHS movies due to copy-protection. This also applies to professional tape copy/duplication services. The 8mm/VHS Adapter - Real or Myth?